For Dionne Ashley Ford, the food pantry at Westminster Presbyterian Church has made a huge difference for her family. Over the years she has adopted and raised 46 children of her own and fostered so many others. Now, shes giving back by volunteering. 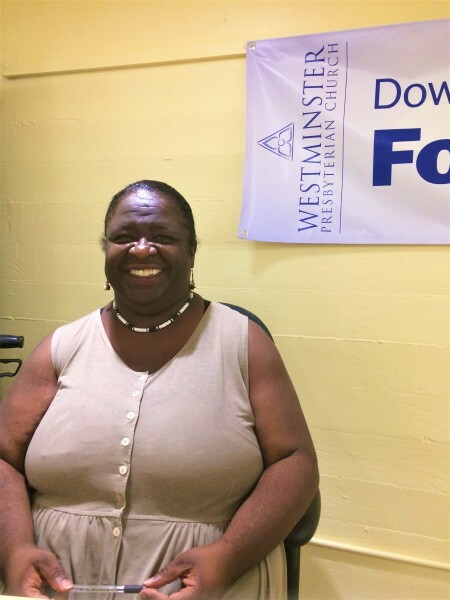 For Dionne Ashley Ford, the food pantry at Westminster Presbyterian Church has made a huge difference for her large and continually growing family. But to say Dionne has a large family would be an understatement: Over the years she has adopted and raised 46 children of her own and fostered so many others that she has lost count. She sees each and every one of them as part of her family. “I can honestly say I’ve been blessed. It hasn’t been hard. They don’t starve, I have never had a moment when I thought, ‘How am I going to feed these kids?’ she said. Currently Dionne has nine children in her home. The youngest is six and the oldest is 18. Thanks to the caring people at Westminster, in partnership with Feeding America West Michigan, she won’t ever have to worry about having enough food and can continue making a difference in the lives of these children. Dionne’s influence extends beyond the lives of her children. She volunteers at Westminsters’ food pantry twice a week in addition to volunteering at a summer camp and the children’s drama department at her church. She takes every volunteer opportunity she can because these are things that she can do within her means. She’s done all of this despite the fact that she became disabled 11 years ago. 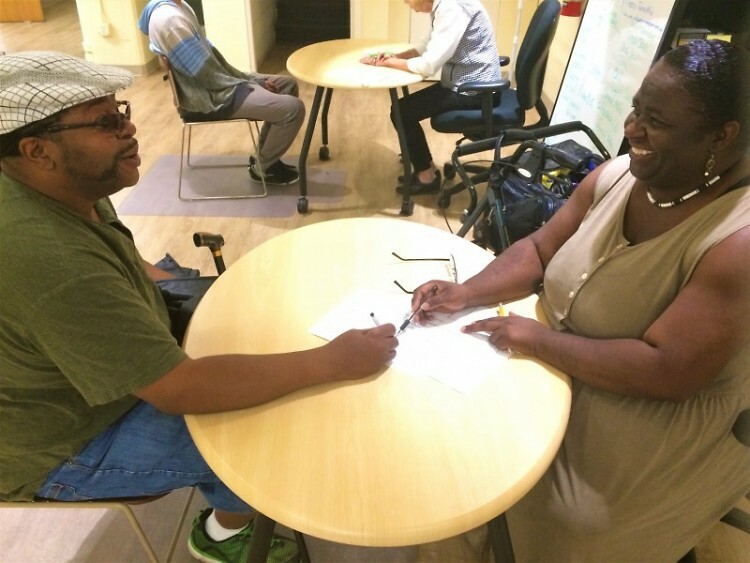 While on the job, Dionne slipped on some water and fell in the entryway of her place of work. She tore her meniscus, which is the cushion between the bones in your knee. It couldn’t be repaired so the doctor had to remove it. This means the bones of her knee scrape together when she walks, which is extremely painful. Since this accident, she has had trouble in her back as well because of some spinal disks that were knocked out of place. This also causes her an enormous amount of pain. Her doctor had told her family she would never walk again, but she somehow managed to walk through the pain. Even so, the accident forced her into early retirement. The pantry at Westminster Presbyterian Church has really made a difference in her ability to help all of these children grow up in a nice, loving home. “This is a huge help, this is a beautiful thing,” she said. Dionne is so thankful and is thrilled to be able to give back to her community that has helped her and her children when they needed it.